Consumers that watch ad-supported streaming over-the-top video services are largely incremental to those that watch linear TV. They are a “high-value” audience. as well, per the IAB. The IAB released its report, "Ad Receptivity and the Ad-Supported OTT Video Viewer," at the first edition of its NewFronts West event, held in Los Angeles Tuesday. The IAB sought to explore who watches OTT video and determine some of the defining characteristics the audience. The report found that viewers of ad-supported OTT services (i.e. YouTube, Crackle, Roku Channel) do not typically watch linear TV. Over half are cord-cutters or cord-shavers. In other words, they make up a largely incremental audience to linear TV. 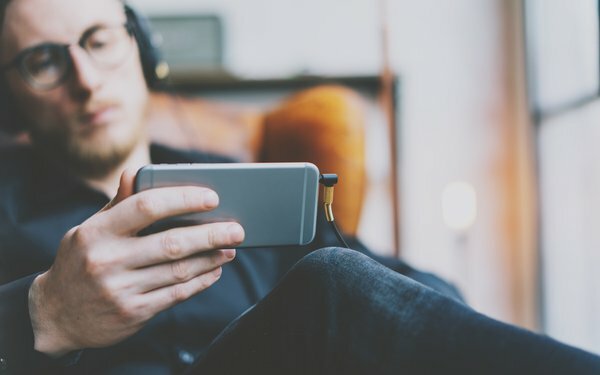 The IAB also found that even though the primary audience for ad-supported OTT services are the “typical ad blocking demo,” skewing younger and male, they are not opposed to ads delivered through these services. All told, 73% of adults surveyed that watch OTT video also say they watch ad-supported OTT video, with 43% saying they watch ad-supported services the most out of their streaming options. That suggests that while ad-free options like Netflix and Hulu remain powerful forces in the industry, there is still opportunity for ad-supported options. The full IAB report is here. 4 comments about "Ad-Supported OTT Viewers Incremental To TV". Jack Wakshlag from Media Strategy, Research & Analytics, October 10, 2018 at 1:06 p.m.
Why, in this era of quality video data, are we using recall surveys instead. The IAB knows better. Ed Papazian from Media Dynamics Inc, October 10, 2018 at 3:21 p.m.
Jack, I suspect that the answer is that using actual device usage data would not produce the same---favorable to OTT---findings. Doc Searls from ProjectVRM, October 10, 2018 at 5:23 p.m. The A in the IAB's "ASV OTT" isn't advertising. It's direct marketing: the video-delivered version of junk mail. It's aimed—personalized—by digital stalking, which is pretty much illegal now in Europe (GDPR) and California (AB 375). Perhaps a $trillion has been spent on this kind of advertising, so far, worldwide, and not a single brand known to the world has been made by it. Worse, it would rather target eyeballs wherever it finds them than sponsor media, channels, networks or programs. Meanwhile real advertising actually sponsors media and makes brands. (I may never be a Geico customer, but I damn well know 15 minutes will save me 15% if I'm interested.) That kind of advertising is what the IAB wishes to dismiss and supplant, and the damned thing is that lots of advertisers want that too, because it gives them the data they need to rationalize their spends to the Nth degree. Note that ad blocking took off exactly when the IAB waged a successful campaign to crush Do Not Track, which was never more than a polite request expressed by browsers. The real opportunity here is to ignore the IAB, and see if ways can be found to make the best of linear TV advertising work OTT as well. Gerard Broussard from Pre-Meditated Media, LLC replied, October 12, 2018 at 7:48 a.m.
Amen, Jack!! With all that is out there . . .